The biggest news this month has been Dell's announcement that it will acquire EMC, one of the biggest high-end data processing companies in a deal valued at $67 billion. This is the largest-ever acquisition in the technology industry. The deal will create the world's largest privately-owned integrated (hardware plus software) technology company, well placed to lead the fast-growing information technology market. Both have global reach, and proven track records in the new cloud-based business paradigm. 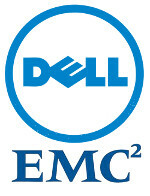 Dell have more small business customers, while EMC are big business' data management solutions provider of choice. The acquisition has caused headlines all over the world. Most agree that the fact that both companies also have a conservative approach to debt management will help in the restructuring process, though perhaps leading to some staff redundancies. However, opinion is split between those who applaud this move to face new business challenges as a consolidated hardware/software provider, and those who think such a move is out of kilter, especially in the light of HP's decision to split in two. EMC was founded in 1979, initially in hardware design and manufacturing. It was in 2001 that EMC refocussed on storage platforms and software and service provision. Dell has always been known as a PC manufacturer, and while the PC market is declining very fast, their small-business server and service provision business has expanded a great deal in the last 15 years. Both Dell and EMC have been able to move into the new business world of cloud-based, end-to-end solutions. There will be advantages for existing customers of both companies. The losers in the deal may be the employees of both. From design, manufacturing and development through to sales and marketing, the cross over is such that the frugal Dell board may well opt for a reduction in the HR base to recoup their investment in the short term.